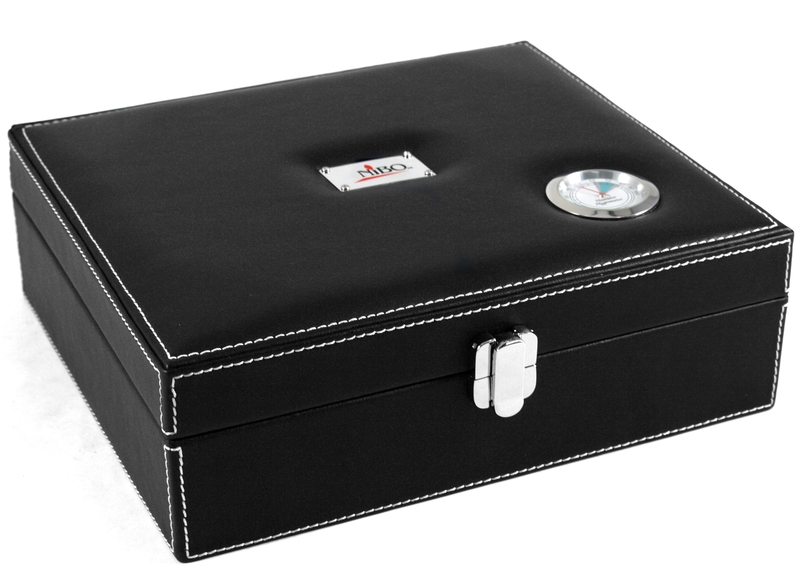 The wonderful humidor has an outside mounted hygrometer so you can check the humidor without opening it! 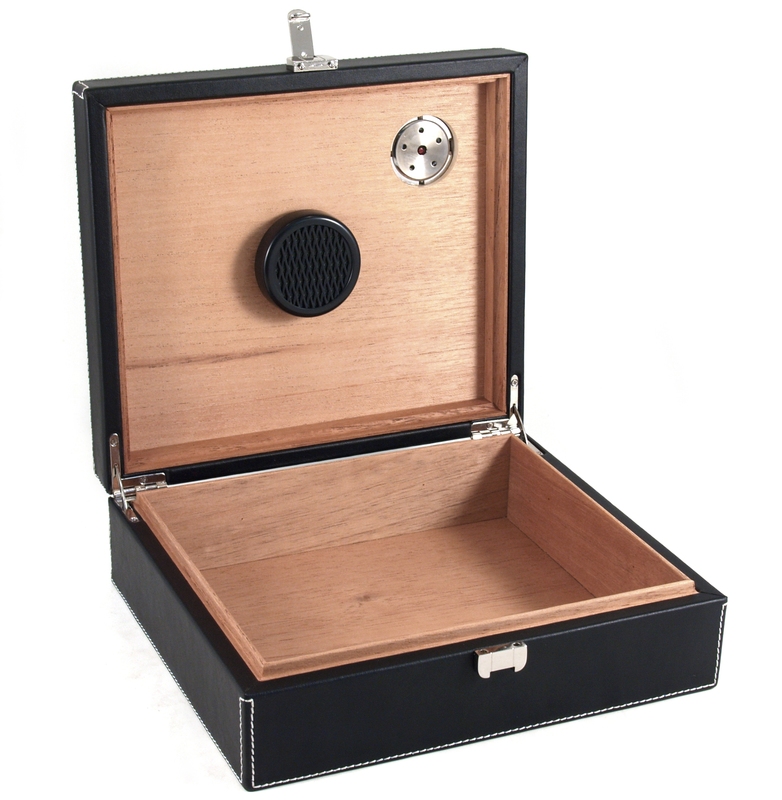 Handsomely designed, this humidor has all these high-end features. 9.75" x 8.25" x 3"